A new paper has been published in Geophysical Research Letters that shows once again, that climate models and reality significantly vary. It confirms what Dr. John Christy has been saying (see figure below). The paper also references Dr. Judith Curry and her work. Global and regional warming trends over the course of the twentieth century have been nonuniform, with decadal and longer periods of faster or slower warming, or even cooling. Here we show that state-of-the-art global models used to predict climate fail to adequately reproduce such multidecadal climate variations. In particular, the models underestimate the magnitude of the observed variability and misrepresent its spatial pattern. 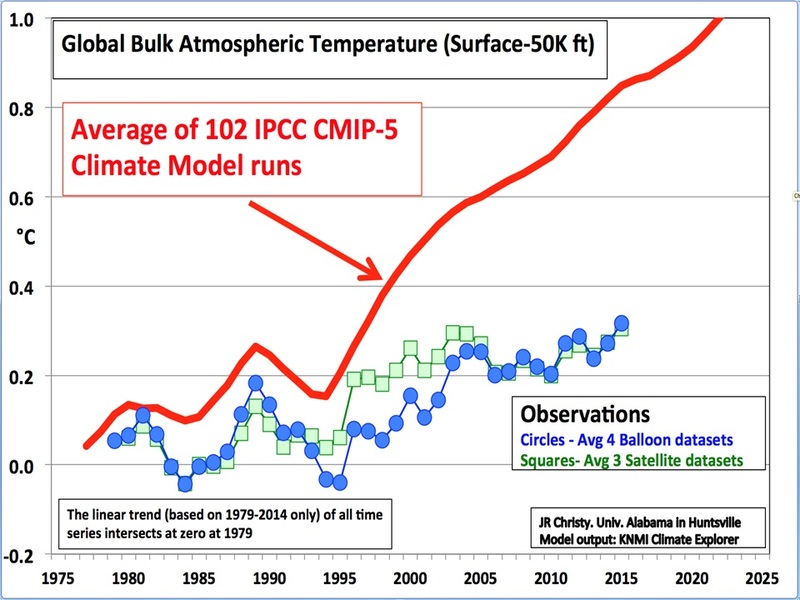 Therefore, our ability to interpret the observed climate change using these models is limited. of requisite internal dynamics, or a combination of both.